Concocted with love by London-based Portuguese Chef Nuno Mendes, “Lisboeta” is a superb book about cooking and eating around the city of light. Halfway between the travel book and the cookbook, it’s a heart-warming, personal portrait of Lisbon’s bustling food scene. Much like the city itself, Lisbon’s food and wine panorama is at once modern and old fashion. The author writes about a kind of Renaissance of the city where food played a crucial part. It’s a great invitation to discover the vibrant flavors of Lisbon in your next food and wine tour in Portugal. Nuno Mendes is a wanderer, a traveler and an internationally renowned Chef. Born and raised in Lisbon, he is a “Lisboeta” (native of Lisbon). Nuno left Portugal at the age of 19, traveled the world, and eventually settled in London where he created several celebrated restaurants. At Viajante, he won a Michelin Star, before returning to his Portuguese roots to open the critically acclaimed London eatery Taberna do Mercado. A curious person, his creativity doesn’t stop at the kitchen. His gorgeous new book is the perfect starter for a wonderful food and wine tour in Lisbon. Filled with beautiful stories and great tips about Lisbon, the book includes dozens of mouthwatering Portuguese recipes. From cod fish to clams with garlic and coriander (ameijoas à bulhão pato), from feijoada to tempura style beans (peixinhos da horta), all curated and explained by the Chef himself. With beautiful location photographs, Lisboeta is an inspired combination of words and images. It will whet your appetite to discover one of the less known, yet more deliciously surprising cuisines in Europe. If you’re looking for inspiration for the tastiest food and wine tour in Lisbon than you should not miss this reading. “Lisboeta” is written with passion and authenticity and beautifully photographed. 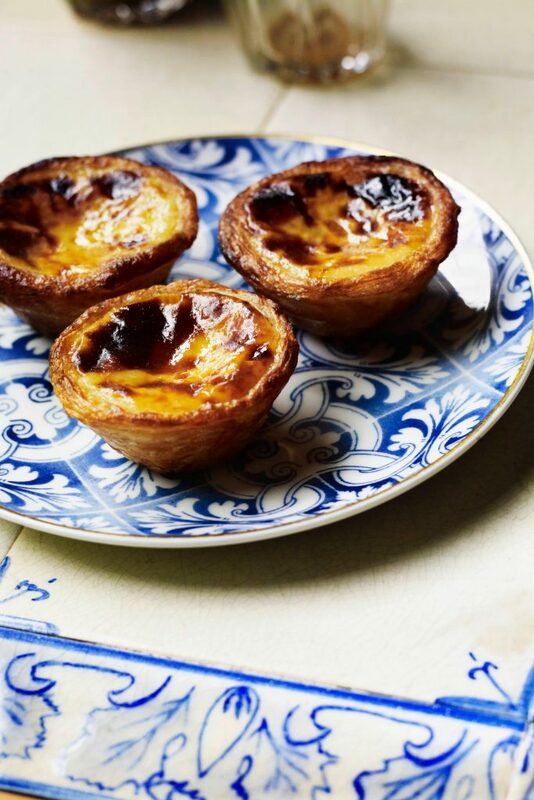 As Nuno Mendes muses over the flavors of his childhood (like the Bola de Berlim or doughnuts with custard cream sold at the beach) or suggests new places to experience the best of Portuguese cuisine, it becomes clear that only a local could have assembled so many pertinent and flavorsome tips for foodies. He is a local with an immaculate taste, of course. At Episode Travel, our role is to turn this inspiration into a real, fantastic foodie experience. We create inspiring, tailor-made food and wine tours in Lisbon with a selection of the best restaurants, gourmet experiences and tastings according to your preferences. A great introduction for travelers planning to do a food and wine tour in Lisbon, the book is divided in 7 chapters, which, as the author explains, follow the “culinary clock” of Lisbon, as the rhythm of the day revolves around mealtimes. From pastries (which you take in the morning, at a pastelaria, often with an espresso) to snacks, lunch, petiscos (or small plates) to dinner, desserts, and sandwiches, there’s a myriad of delights to discover. From book to table, Lisbon’s culinary revival encompasses traditional restaurants and contemporary eateries. Everywhere creativity meets ingeniousness and quality. From the typical tascas to a constellation of Michelin-starred restaurants, take a big bite of Lisbon. From the slow cooked meat to the most pristine fish on earth, and don’t go home with a glorious dessert which will make you want come back for more!